07 Aug 2018 --- PLT Health Solutions, Inc. has revealed the results of a clinical study the company helped develop has been published in the highly-regarded scientific journal, Diabetes, Obesity and Metabolism. Entitled “Efficacy of a novel herbal formulation for weight loss demonstrated in a 16‐week randomized, double‐blind, placebo‐controlled clinical trial with healthy overweight adults” (Dixit, et al. 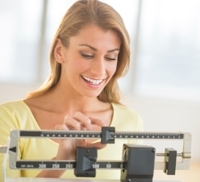 2018), the publication describes clinical evaluation of Slendacor Weight Management Complex, which was introduced to the market in 2017. The study was funded by PLT and Laila Nutraceuticals and is claimed to have gained recognition in the natural products industry because of its rigorous design as well as its results documenting steady, consistent weight loss among other endpoints evaluated. According to Dr. Barbara A. Davis, Vice President, Medical & Scientific Affairs for PLT Health Solutions, the objective of the study design was to set new standards for communicating efficacy to consumers and regulatory agencies in the weight management category. “In an effort to develop a credible protocol that would truly evaluate Slendacor’s weight management efficacy, we spoke with scientific experts, conducted interviews with industry-leading consumer companies involved in the weight management business, reviewed regulatory positions and also interviewed regulatory groups globally. 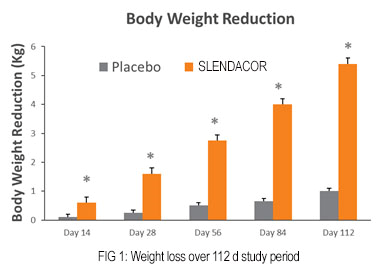 In response, we created a protocol that investigates the effects of Slendacor supplementation on 140 healthy overweight men and women for 16 weeks – a much larger and longer study than is typically seen for weight management ingredients. During that period, participants consumed two Slendacor tablets before breakfast and lunch, were physically active and ate foods they were used to, just in reduced quantities,” she said. “The results of the study demonstrated significant weight loss, plus significant reductions in waist and hip circumference and decreased BMI. The rigorous design supports efficacy claims for Slendacor that can help build trust with consumers,” she added. Slendacor Weight Management Complex is a patented, synergistic formulation of three well-known spices – Curcuma longa, Moringa oleifera and Murray koenigii. The combination resulted from screening hundreds of different botanicals to develop synergistic performance supporting weight loss; specifically, the ability to reduce lipogenesis and increase lipolysis was shown by in vitro studies in mouse 3T3 pre-adipocytes (Sengupta et al., 2011). An initial pilot study with obese participants demonstrated weight loss efficacy in humans (Sengupta et al, 2012). According to Dr. Davis, continuing commitment to conducting robust research with its key ingredients is in line with PLT Health Solutions’ approach to the market. “We are continually working with our partners in evaluating the potential of ingredients and looking for opportunities to make strong, credible claims that address consumer needs. When we see the potential in an ingredient like we saw with Slendacor, we’re willing to invest the resources to further strengthen our scientific support package,” she said. “We want to help our customers connect with consumers to create trusted brands,” she said.